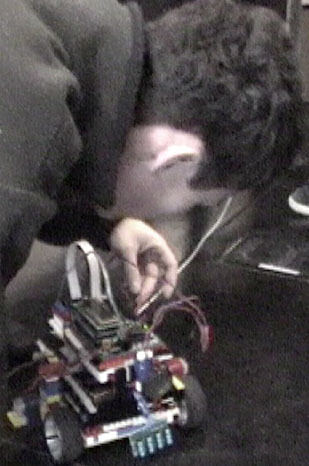 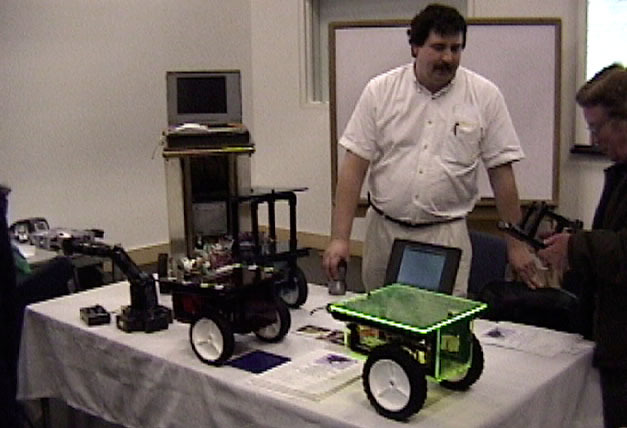 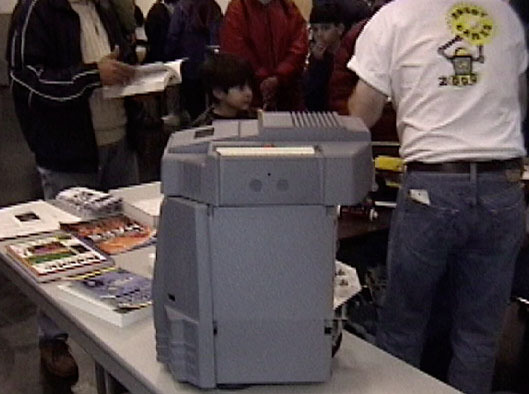 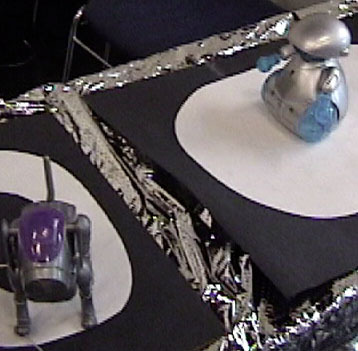 "Robot enthusiasts from around the Bay Area share their creations" ran the byline for the CSSC all-day event with numerous exhibitors from robot clubs including SFRSA & Homebrew. 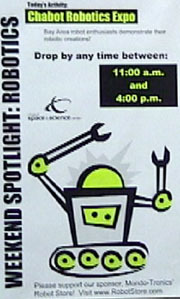 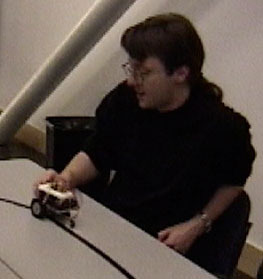 SFRSA members included Patty Pink & kids, UCB Robot Lab Mngr. 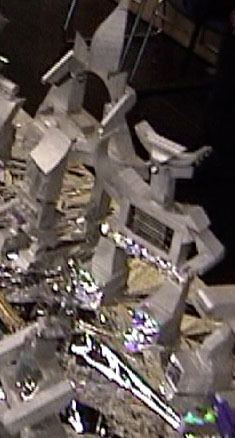 Win Williams, Positive Logic’s Joe Miller & SFRSA Mediameister Cliff Thompson. 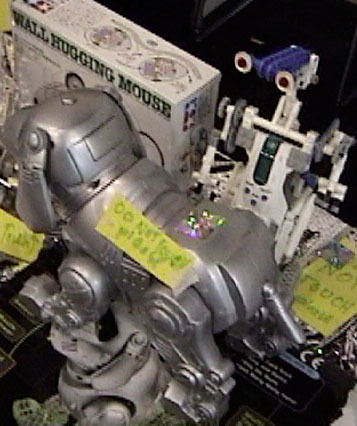 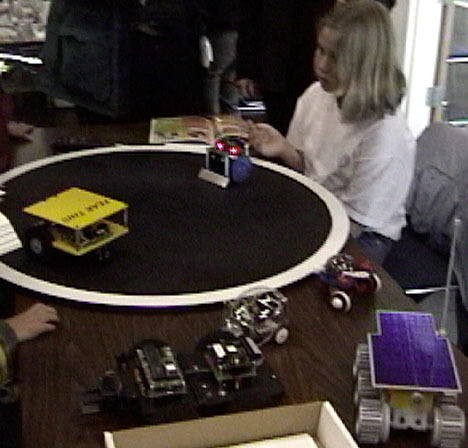 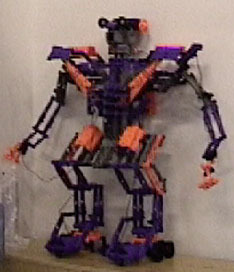 On display were Hero-shell hermit, SUMO ‘bots, Science fair project, plastic construction kit models, toy critters, Lego Mindstorm Star Wars droids, sculptures, line-followers, advanced base platforms, mini SUMO & arm, Honda P2 Humanoid model & Sony AIBO. 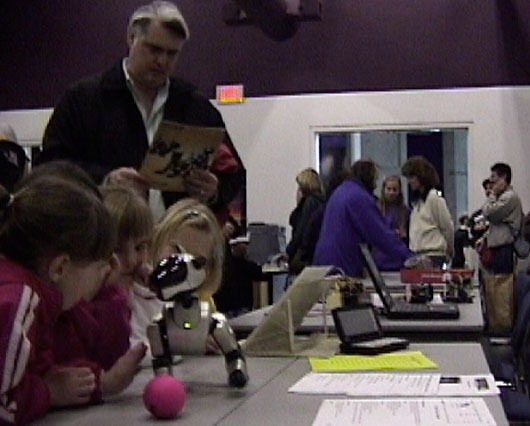 Cliff’s AIBO "K-9" enthralled children by exhibiting facial-recognition based behaviors. 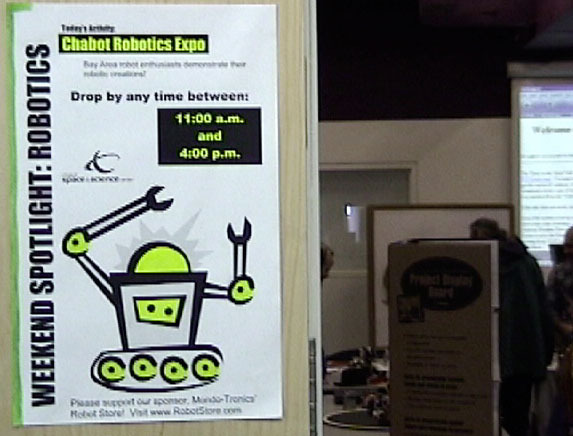 Overall the event was well attended, with no lulls & often crowded, with exhibitors totally engaged full-time, reminiscent of event sponsor The Robot Store’s earlier "Robo Expo".